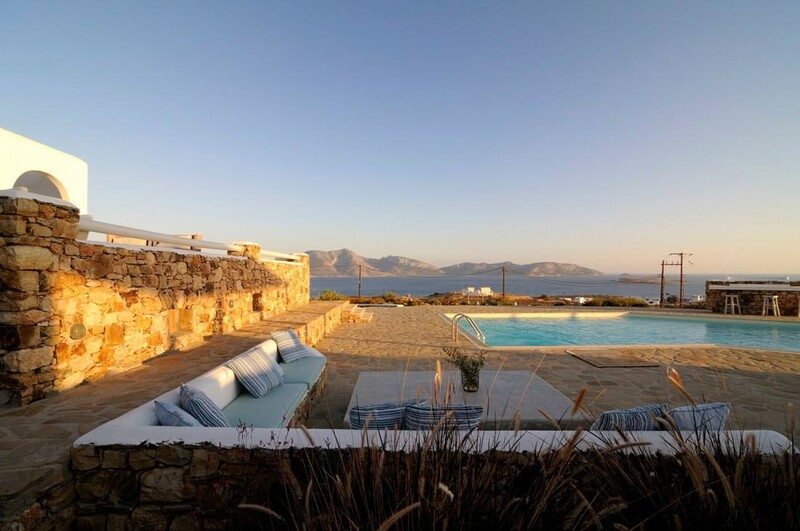 Welcome to Pori a 9-bedroom luxury Villa perched overlooking the sensational views of the Aegean Sea in Koufonisia, Greece. 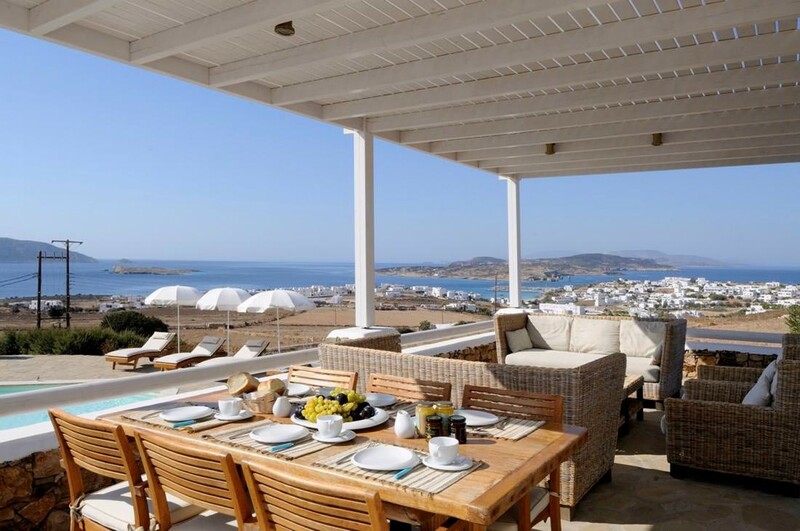 This stunning holiday villa offers the ultimate Greek lifestyle experience. The property can accommodate up to nineteen guests over the two sister-villas as well as the expansive outdoor living space. 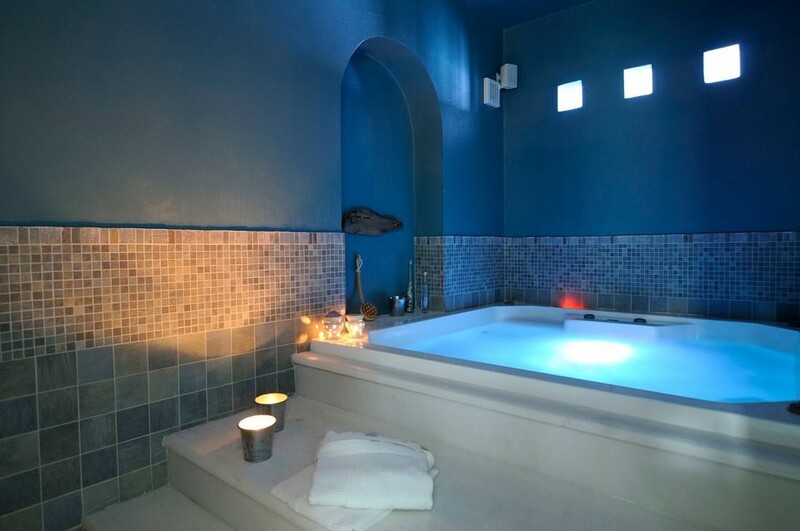 The villa creates the feeling of a five-star resort with its abundance of exquisite amenities including the private gym, sauna, swimming pool and the outdoor bar. This unique villa is defined by its exceptional outdoor areas. 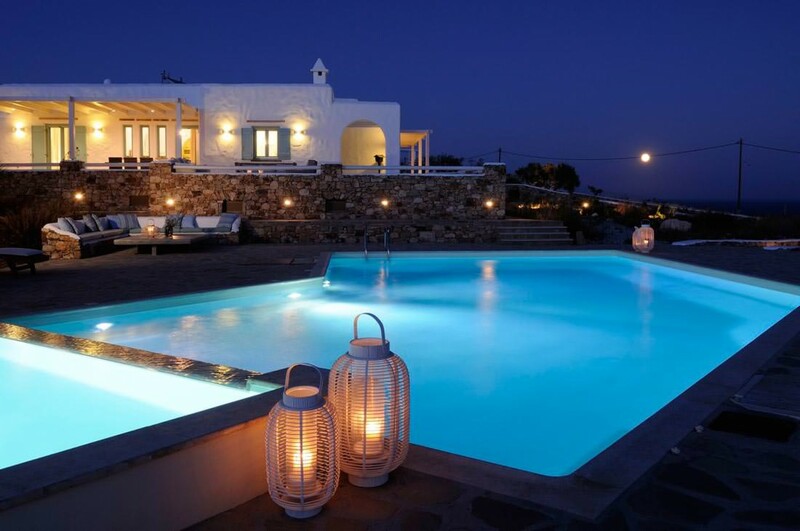 Walking around the large exterior spaces your eyes will instantly fall on the crystal clear turquoise swimming pool. The pool is perfect to slip into for a refreshing swim after lounging on the sun beds. 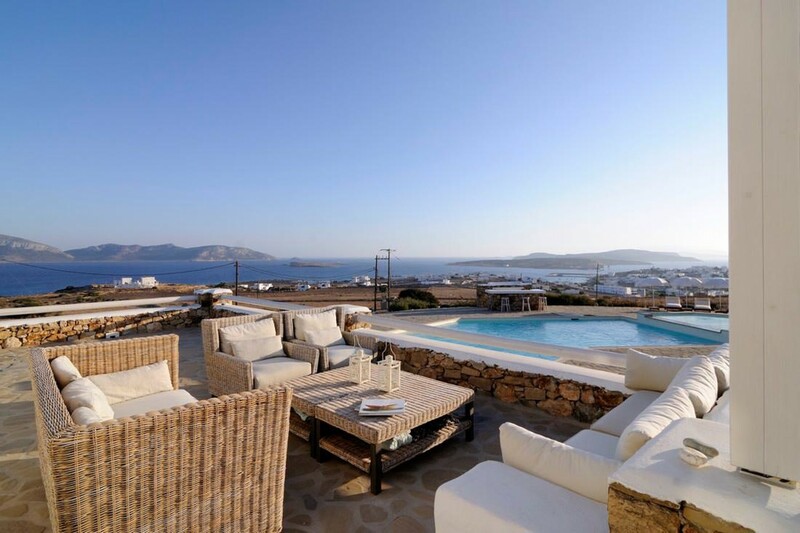 Float in the cool waters and look out over the glistening Aegean waters. The pool includes a small waterfall as well as a separate kids pool area. The outdoor gardens are truly exquisite, laced with vineyards and olive trees. 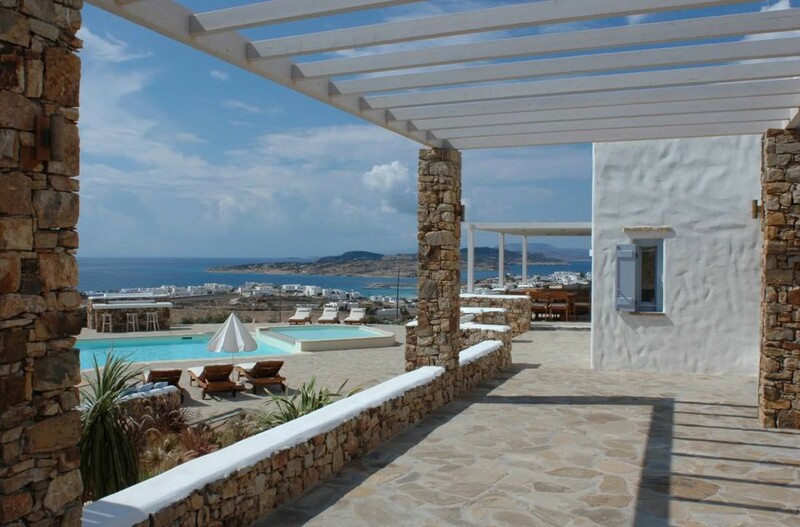 Let the breeze carry the scents of the fresh herbs through the villa as you open the large doors and windows. 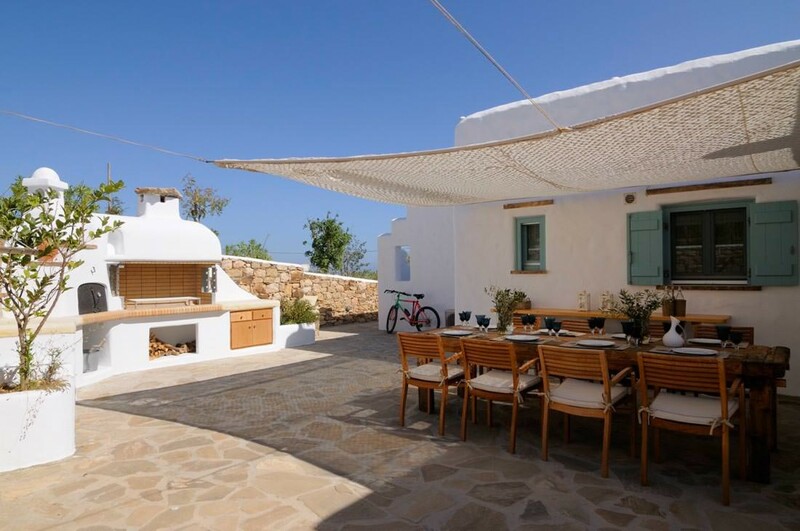 Sit out in the outdoor seating area and indulge in your favorite book or spark up the barbecue and enjoy an evening meal surrounded by your loved ones. 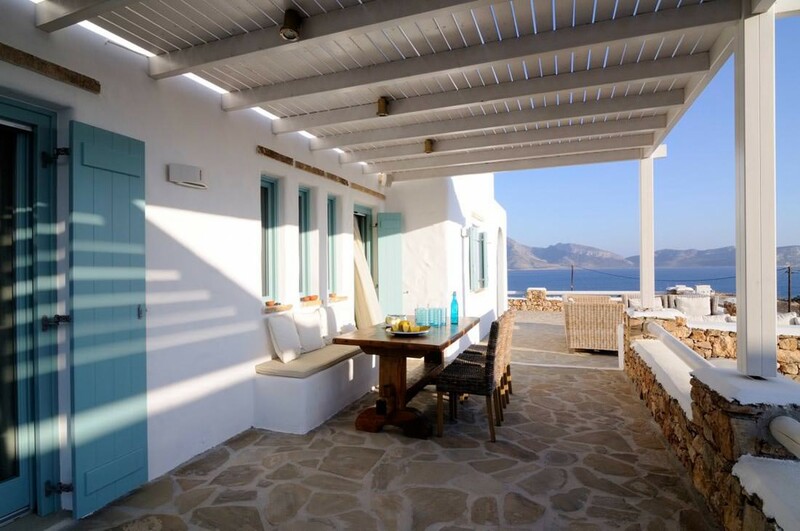 Let the Greek lifestyle melt away your stresses and realign your energy. Mix up a batch of tangy cocktails in the outdoor bar and get ready to sit back and watch the sunset as the sky turns golden to warm pink and fades to a midnight blue. As the town below starts to light up with life, play your favorite song on the sound system as you look up at the sparkling stars that lace the skies above you. Pori includes two sister-villas embedded along the landscaped property and share the outdoor living space. 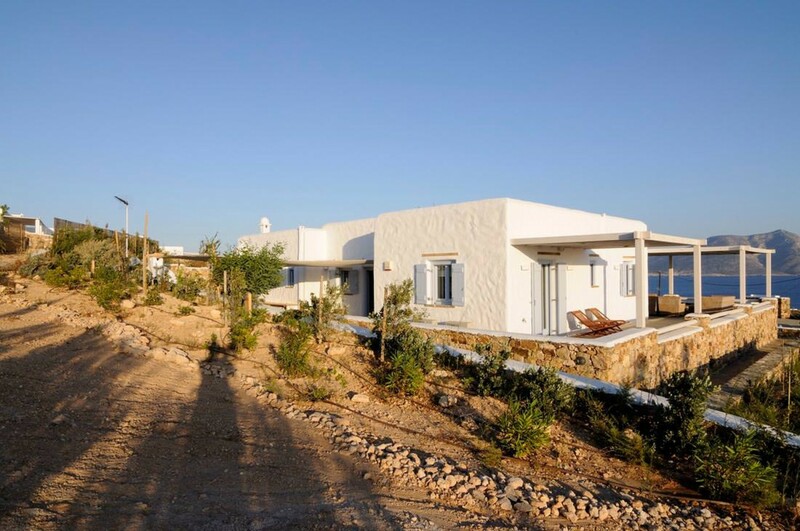 The property follows a unique and traditional Cycladic design. The indoor space is flooded with natural light that bounces off the whitewashed walls. The interiors are fitted with an array of comfortable leisure options, from the substantial open-plan living space with accompanying balconies to the lavish furnishings. 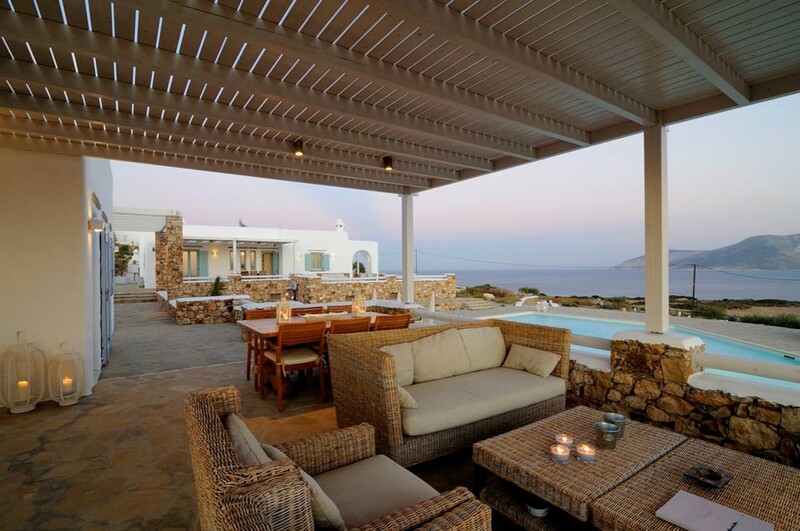 This luxurious home is decorated to reflect Greek architecture at its finest. The main living areas are located on the ground floors of the two villas. Each spacious living room is decorated with unique pieces of artwork and plush furniture. The sofas a nestled around a beautiful fireplace and a high-resolution television fitted with a DVD player. 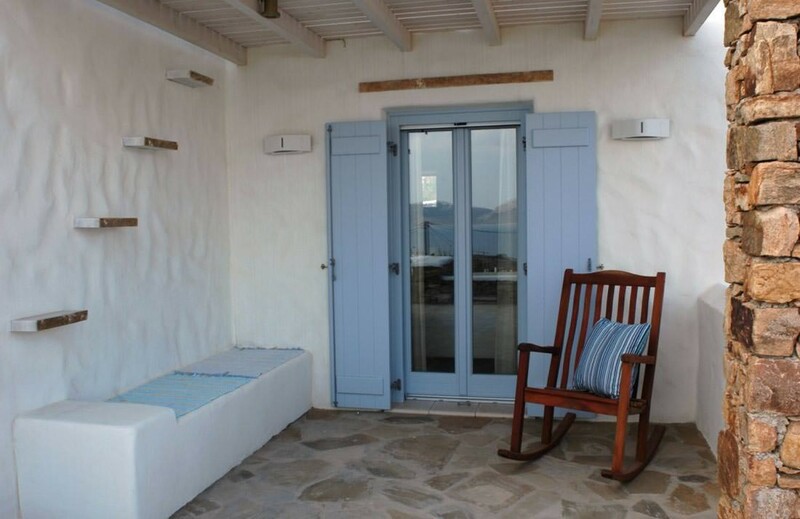 Here is the perfect spot to light the fire in the cooler seasons and snuggle up to watch your favorite film. 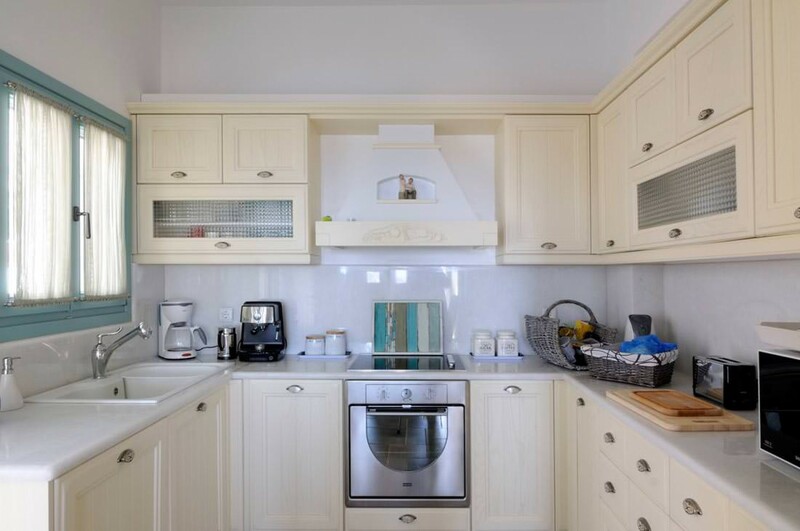 The kitchen is open plan and comes fully equipped, demonstrating a fine eye for touches of elegance. 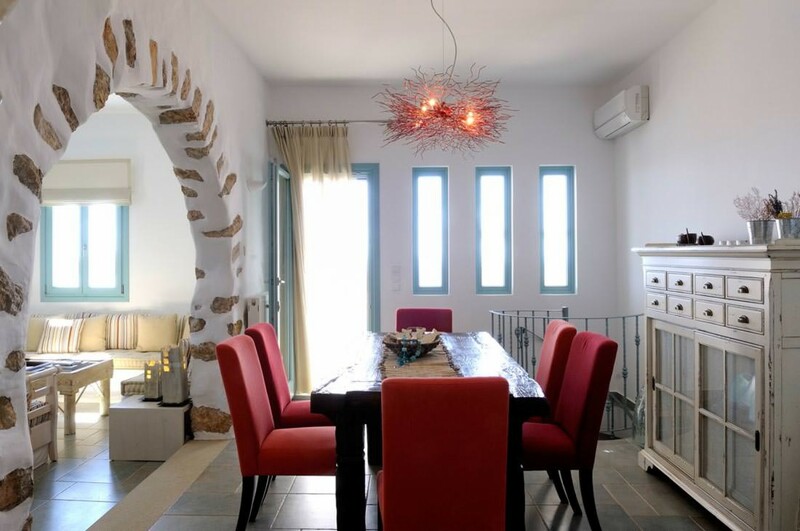 The dining area can seat up to six guests, whereas the outdoor dining areas can seat an additional ten guests. Delving into the details about the luxurious 9 bedrooms this property holds, the villas mirror the layout of one another. 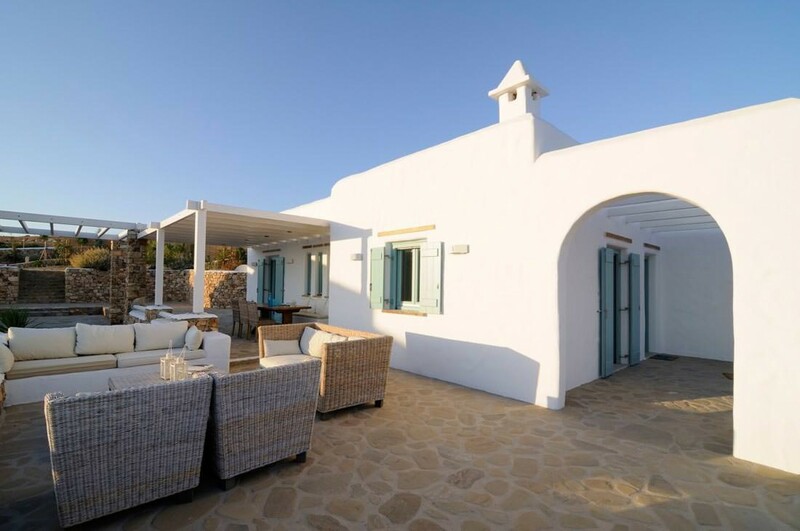 Each villa contains two spacious double bedrooms with private en-suite bathrooms attached on the ground floor. There is also a comfortable bedroom with two single beds. The lower level is where you will find another en-suite bedroom, which accommodates up to four guests as well an en-suite bedroom. There is also a laundry room located on this level. The lower level is where you will find an array of luxurious amenities you can indulge in during your stay here. 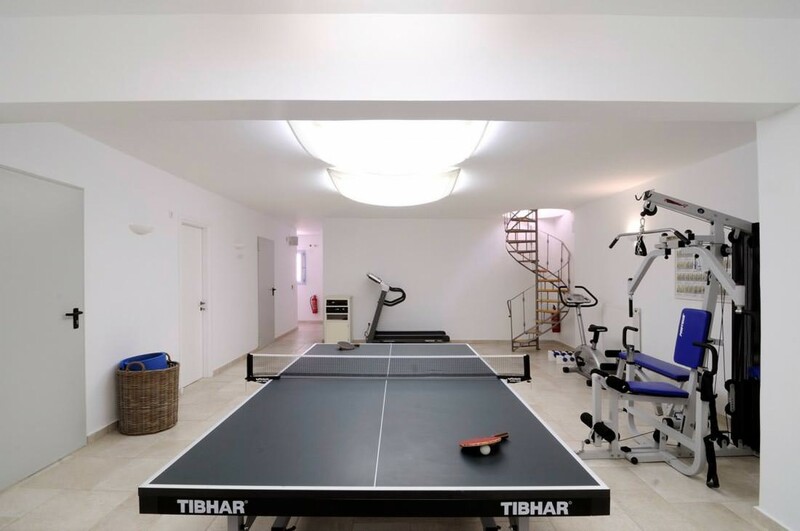 It includes many entertainment amenities such as a private gym, a ping pong table, a sauna and hammam and a luxurious indoor Jacuzzi. The property is fully equipped with high-quality audio systems and secure Wi-Fi throughout the indoor and outdoor areas. 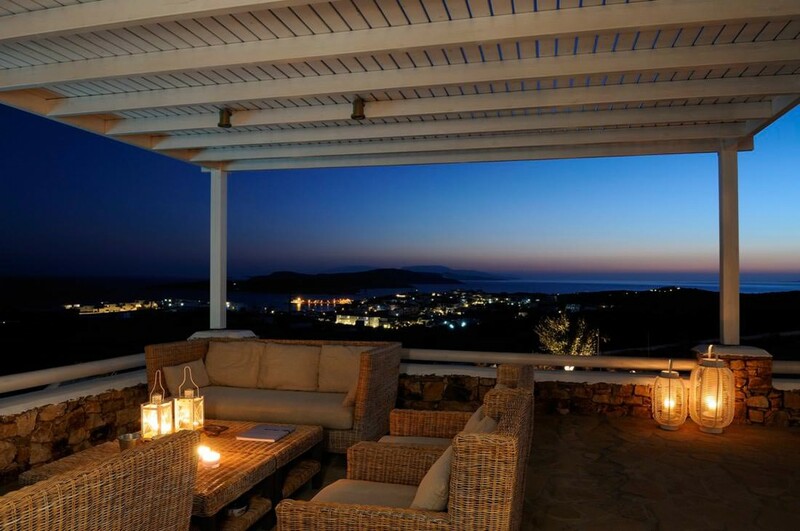 Pori is perched overlooking the sensational views of the Aegean Sea in Koufonisia, Greece. 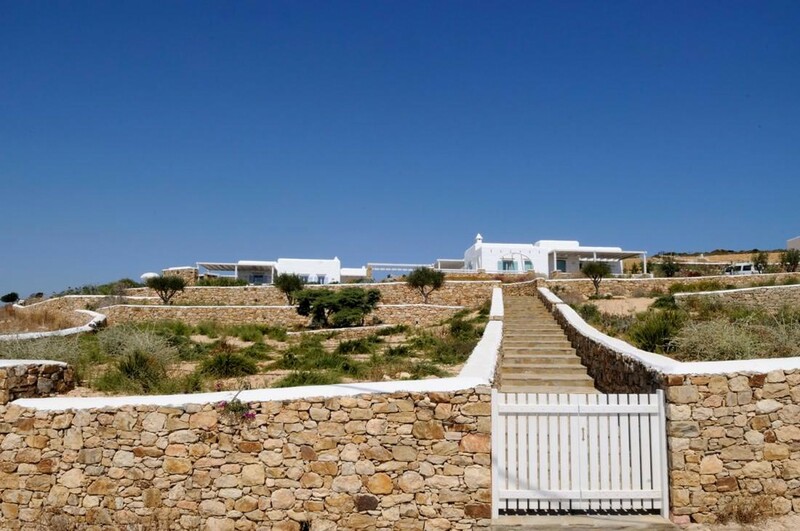 Koufonisia is a complex of two islands that is located between Naxos and Amorgos. 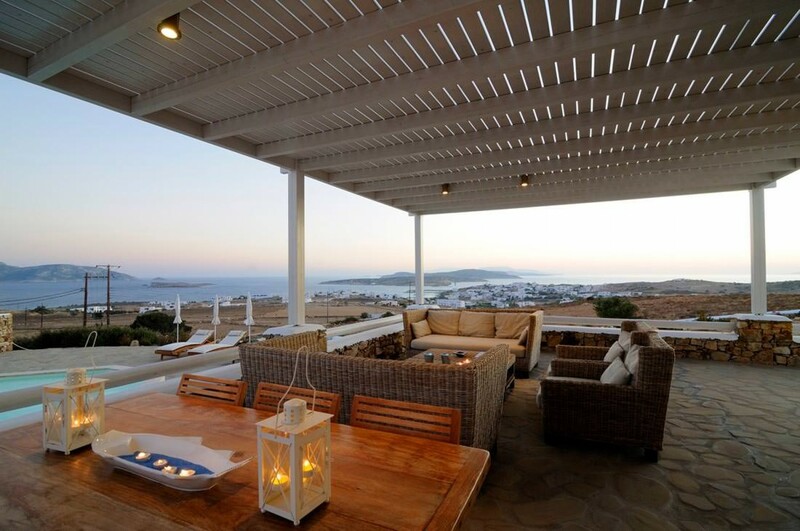 The island belongs to the complex of Small Cyclades and offers a serene Greek holiday experience. The main island is home to the local Chora town (500m from villa Pori) and the port at which that ferry from Athens arrives. The port is located a short 500m from Pori, your private villa. The sloping streets of the chora in is lined with whitewashed buildings, quaint cobbled alleyways and shutters picked out in bright blue. Koufonisia has astonishing beaches which can be reached by walking or by taking one of the buses which leave regularly from a small hut on the main port. This final stop is at an enormous, horseshoe-shaped beach. This incredible shoreline is captivating with its white powdery sands and shallow bright blue water. 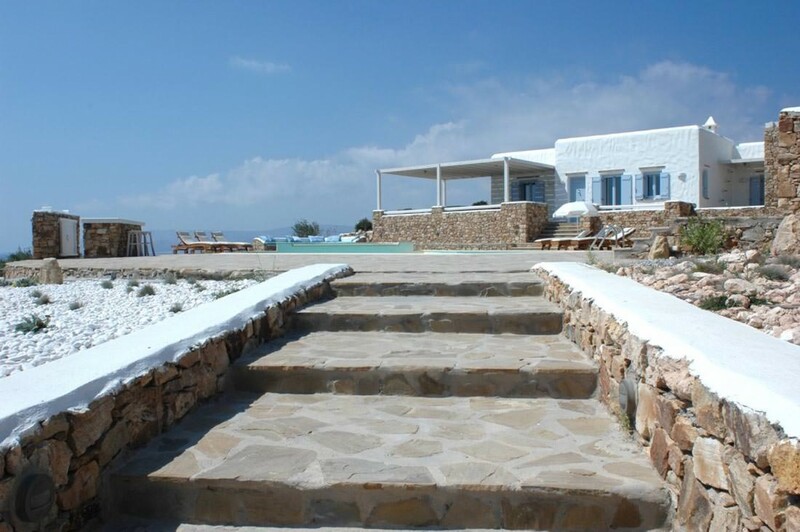 Here you can walk along the shore to the stylish Kalofego, a delicious beach bar. 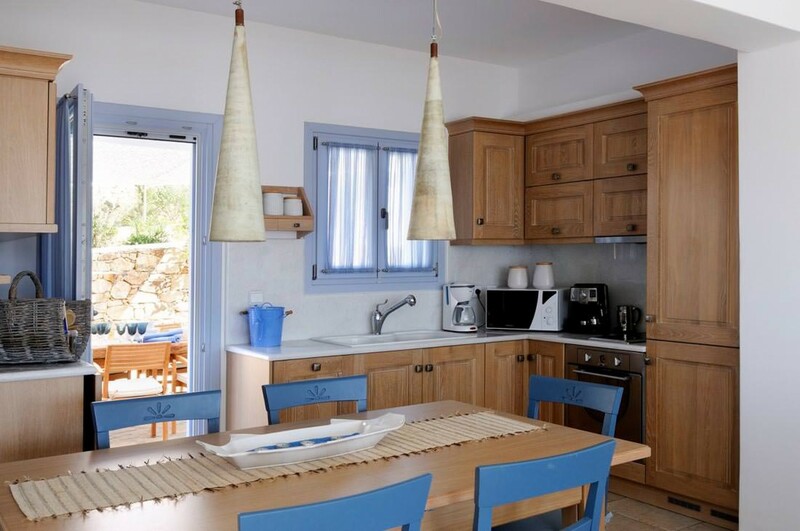 The closest beach is Ammos and is 300 m from Villa Pori. There is a range of shops and restaurants all within a 500m radius of the villa also.